Dutch microscopy innovators, Confocal.nl, have released a new brochure explaining how Re-scan Confocal Microscopy (RCM) works. It shows how microscopists may configure their own turnkey system using their existing fluorescence microscope and accessories. So, to learn about the RCM module from Confocal.nl and how it may be configured into a high-performance scanning confocal imaging system, please visit www.confocal.nl. This includes a detailed video describing the principle of RCM. The Sauer Laboratory at the University of Würzburg implements Re-scan Confocal Microscopy with a new turnkey system from Confocal.nl. Examples using the Re-scan Confocal Microscopy module from Confocal.nl. These are COS7 cells, immunostained for alpha-tubulin AlexaFluor647. Image is a stitching from 3×3 field of views, blended together according to their optimal path of structure. Single images were taken using the 2s configuration of the RCM in NIS Elements. Images courtesy of Andreas Kurz from the Sauer Laboratory at the University of Würzburg. At Confocal.nl, we believe in matching our users’ expectations and needs to best use their existing light microscopes and accessories and build the most cost-effective 3D imaging confocal microscope possible. For this we use the unique technique of Re-scan Confocal Microscopy (RCM). This was developed by Dr Erik Manders while leading his Innovative Microscopy Lab at the University of Amsterdam. Now, as CTO of our company, Confocal.nl, Erik, in partnership with experienced microscopy entrepreneur Peter Drent, brings a new approach to bring better microscopy solutions to the market through simple, no-nonsense technology. Erik explains how we do it. Please submit information on your current equipment, and get a custom-designed upgrade solution. Confocal.nl introduces a new microscope based on RE-SCAN technology developed at the Swammerdam Institute for Life Sciences of the University of Amsterdam. This innovative technology converts a standard microscope into a super-resolution microscope for three-dimensional confocal imaging: the Re-scan Confocal Microscope (RCM). RCM combines the super-resolution capability with drastically higher sensitivity than most confocal microscopes. It is available as a highly affordable and customized device, which is ideal for small labs with specific interests in biomedical research but also as a working-horse at microscopy facilities. The simple technical design and open-architecture makes the system platform- and software independent which allows plug-and-play upgrading of any standard fluorescence microscopes. The investment will enable Confocal.nl to strengthen its leading position in the scientific research market and expand its business in emerging life sciences, pharma- and industrial markets. Furthermore, this investment allows Confocal.nl to strengthen its development team and improve and expand its product portfolio. 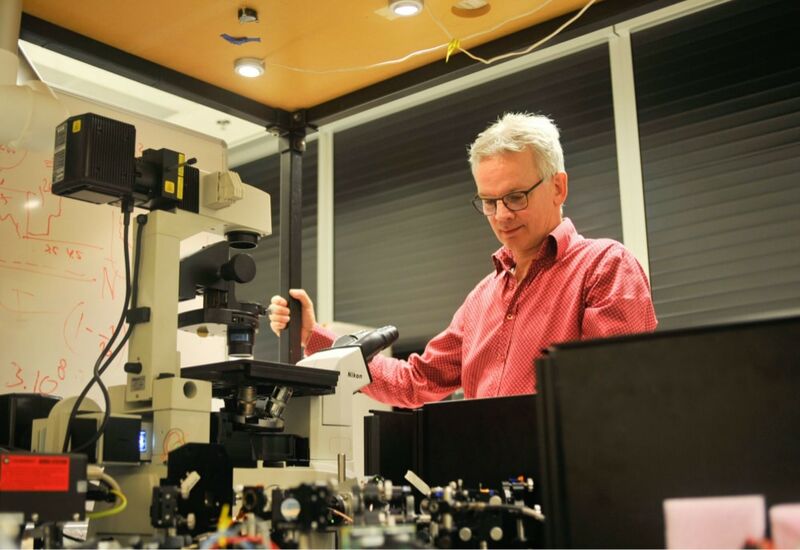 “During the last few years we see a shift from purchase new microscope systems to upgrading existing microscopes within institutes to more efficiently use their funding” says Peter Drent, CEO of Confocal.nl. Value Creation Capital (VCC) invests in companies who are active in high-tech (TechNano Fund), cyber security (Security of Things Fund), business software, data intelligence and IT managed services. VCC has been founded in 2005 by serial entrepreneurs who built several fast-growing ICT and tech companies that were subsequently sold. “Given the enormous market of microscopy industry and the drive for higher resolutions and performance the Confocal.nl Rescan Add-on can be of tremendous value for customers”, explains Willem van den Berg, Managing Partner of Value Creation Capital. Van den Berg: “Confocal.nl’s modules allow for high sensitive, substantially better resolution and speed based on rescan technology”. UvA Ventures Holding works with the University of Amsterdam technology transfer office (IXA – UVA) to identify exciting early stage innovations and build them into fast growing sustainable companies. Peter Krijnsen, CEO of UvA Ventures, adds “On behalf of UvA-IXA, UvA Ventures Holding and the shareholders of Confocal.nl, we would like to extend a warm welcome to Value Creation Capital. We highly value their significant experience and track record especially in the optics domain, and we feel that with this strategic investment Confocal.nl is well positioned to accelerate their sales and marketing efforts”. In the last few months our software team has worked on Micro-Manager module to control RCM. A while ago, the stable 1.0 version was finalized, and today the last nice features were added and tested for the new release v1.1. The RCM-control module works as a library in Micro-Manager, and is very easy to install and to use. Only few buttons are needed to do all the work: “Set field-of-view”, “Set laser power” and “SNAP”. The RCM-plug-in for Micro-Manager gives the crisp multi-colour images. The insert gives an impression of the basic control panel of Micro-Manager.